Ken White is an experienced civil and criminal trial lawyer. A former federal prosecutor, he has litigated complex civil and criminal cases in federal and state courts for 23 years. In the civil arena, Ken specializes in First Amendment work. 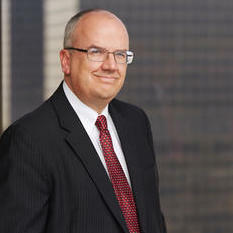 He defends clients in defamation cases, advises businesses on strategies for addressing defamatory content and intellectual property violations, and helps respond to all sorts of speech-based legal threats. Ken also trains clients on sexual harassment prevention as required by California law. In his criminal practice he defends clients in state and federal court, conducts effective internal… read more investigations, and advises on criminal justice issues. "When I faced politically motivated criminal charges that were potentially career-ending, the firm fought tenaciously to convince a judge to dismiss the charges and secured reimbursement for my unfair treatment. Their knowledge of the conflict of interest laws and their litigation experience were crucial." "Kenneth P. White is brilliant, experienced, responsive, and wise. He is everything a client wants in a lawyer — and I was thrilled with the result in my case." Founding Partner at boutique civil and criminal litigation firm. Responsible for complex civil and criminal litigation. Associate responsible for complex civil and criminal litigation. Federal prosecutor specializing in government fraud and public corruption.